Defined Learning is a transformative K-12 edtech company that combines technology, creativity, and curriculum expertise to provide useful and relevant products to schools. The management team at Defined Learning has an extensive background in building content and listening to teachers to satisfy the ever-changing classroom. Defined Learning was founded in 2009 with the simple goal of helping teachers bring real world experiences into the classroom. Our early test groups and research indicated that performance based learning was the natural medium to connect the dots between standards, skills, and careers. To accomplish this Defined Learning built the Defined STEM service and developed their content using Wiggins & McTighe’s Understanding by Design framework. In 2014 Defined STEM began to partner with Jay McTighe, co-author of Understanding by Design, to build an on-line professional development site that trains educators on how to teach towards success using the performance task framework. 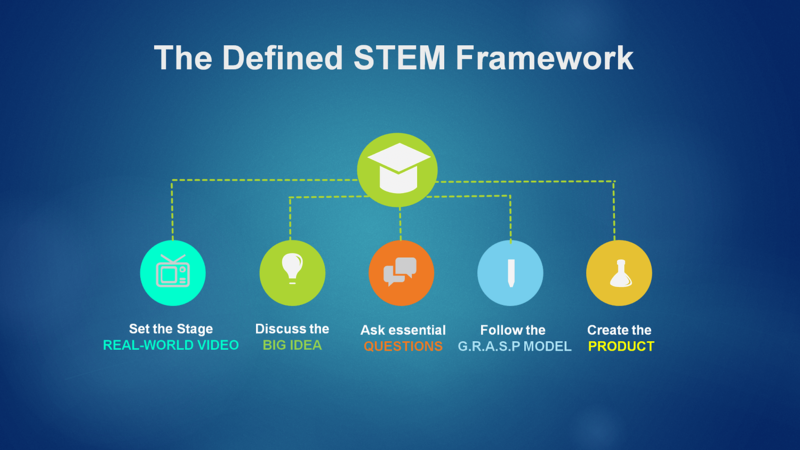 Since Defined STEM’s full launch in September 2010, Defined Learning has brought a supplemental tool to teachers that asked students to apply their knowledge within the context of a real world theme and career. More importantly, through Defined STEM and Performance Task PD with Jay McTighe, Defined Learning continues to make its vision of bringing this type of learning to every teacher and student in the school.